The Maher Law Firm knows how to fight for you. They got my two DUI cases completely dismissed in Ohio! If you are looking for a criminal, traffic, or DUI defense attorney in Columbus, Ohio , call them at 614-205-2208. Mr. Maher was an extremely helpful Columbus OVI attorney. When he explained the situation to me, he was very confident and knowledgeable. He even got my OVI charges completely dismissed! The Maher Law Firm did an excellent job handling my OVI case in Columbus, Ohio. Colin was thorough, diligent, honest, and dedicated, exactly what I needed from an OVI attorney in Columbus, Ohio. HOW CAN THE MAHER LAW FIRM HELP YOU? The Maher Law Firm is a leading criminal defense law firm in Columbus, Ohio with a primary focus on DUI/OVI defense. Though we do focus on drinking and driving charges, we also handle a wide variety of other criminal and traffic offenses. The firm represents individuals charged with DUI/OVI in and around Central Ohio. This includes all municipal, mayor’s, and common pleas courts in Franklin County, Delaware County, Union County, Madison County, Pickaway County, Fairfield County, and Licking County. Criminal law is a complex field in a constant state of change. If you’ve been accused of a crime, you need the help of an experienced Columbus criminal defense attorney who can protect your rights. Criminal and DUI defense attorney in Columbus, Ohio you choose should be up to date and know how to navigate the legal process. Columbus DUI attorney Colin Maher has the experience necessary to guide you through this stressful time. It is our mission to provide the highest quality criminal defense in the Columbus area. Clients appreciate the personalized support and top-notch legal representation they receive from The Maher Law Firm. You are encouraged to call or email us at any time. Columbus, Ohio criminal and DUI defense lawyer Colin will personally address any questions or concerns you may have. Ohio’s DUI laws are among the strictest in the nation. Individuals who are convicted of a DUI face harsh penalties and consequences, including fines, jail time, and license suspension. If you’ve been arrested or charged with a DUI offense, contact an experienced Columbus DUI attorney as soon as possible. The knowledge and expertise of a skilled Ohio DUI attorney could make the difference between a conviction and an acquittal. Columbus Ohio DUI/OVI attorneys at Maher Law Firm is dedicated to aggressively defending those who have been arrested for a DUI/OVI. We also represent individuals who have been charged with other criminal and traffic offenses. We’ve successfully handled over 2,000 cases and nearly 100 trials. We aggressively pursue justice on your behalf and can provide specific insight into your case, regardless of what criminal charges you face. If you’re facing a DUI, traffic offense, or other charge, contact Maher Law Firm, a highly rated criminal and traffic defense law firm in Columbus, Ohio. Call our Columbus criminal and DUI/OVI defense attorneys for a free criminal, traffic, or DUI and OVI defense consultation at (614) 205-2208. Call it driving under the influence (DUI), operating a vehicle while intoxicated (OVI), or driving while impaired (DWI), The Maher Law Firm is a leading source for Columbus criminal defense attorneys. We handle many other types of cases, including reckless driving, traffic tickets, and assault, but we dedicate ourselves to being among the best DUI attorneys in Ohio’s capital city and surrounding Franklin County. Columbus DUI attorney Colin Maher has represented defendants charged with the offense that state statutes call OVI --and sometimes OMVI -- in municipal, mayor’s, and common pleas courts throughout central Ohio. He has also handled many appeals of DWI-related commercial driver’s license suspensions before the Bureau of Motor Vehicles. No Columbus, Ohio, driving under the influence suspect or criminal defendant can be denied the right to have a defense attorney by their side during questioning or in court. Many options exist, but properly protecting a client from an unfair prosecution and unjust sentence takes experience, skill, and knowledge that not every lawyer possesses. 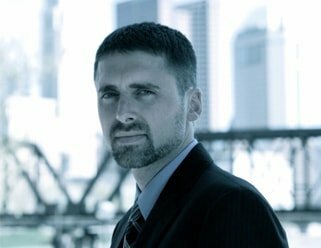 Even more than experience, you want a Columbus, Ohio, OMVI defense attorney or criminal defense lawyer who will answer your questions, respond to emails and calls, and offer support throughout what can be a long and difficult process of gathering evidence and dealing with detectives, prosecutors, and judges. Colin Maher encourages clients to contact him at any time. Never doubt that you need a OVI / DWI / DUI defense attorney in Columbus or Franklin County. Ohio’s penalties for driving under the influence of alcohol or drugs are among the toughest in the United States. Even a first-time conviction for OVI can cost you your personal driver’s license for a year, deny all commercial driving privileges for that same year, special DUI plates, and you could even be required to use an ignition interlock device (a.k.a., a “car breathalyzer”) once limited driving privileges are restored. The right to legal advice and representation exists from the moment a police officer or state trooper makes a traffic stop. Enlisting the help of a Columbus OMVI / OVI attorney as soon as possible is essential, as your lawyer may be able to ensure all sobriety tests and breath, blood, and urine analysis are conducted in full compliance with applicable laws and rules. Columbus, Ohio based DUI attorneys with The Maher Law Firm have handled several hundreds of OVI cases in Ohio, often sparing our clients jail time, keeping driving restrictions to a minimum, and even getting charges dismissed completely. Results can never be guaranteed, but you want a lawyer with such a list of accomplishments on your side. From drunk and drugged driving to serious crimes and traffic tickets, a central Ohio OVI or criminal defense attorney may be just a phone call or online contact away. You can set up a free consultation with a Columbus Criminal Defense lawyer or OVI / DUI lawyer by dialing (614) 205-2208 or filling out this form. Let us know how we can be of service in preventing a wrongful conviction or overly harsh sentence.